I've always thought my hair was one of my best features. Growing up it was long and thick. 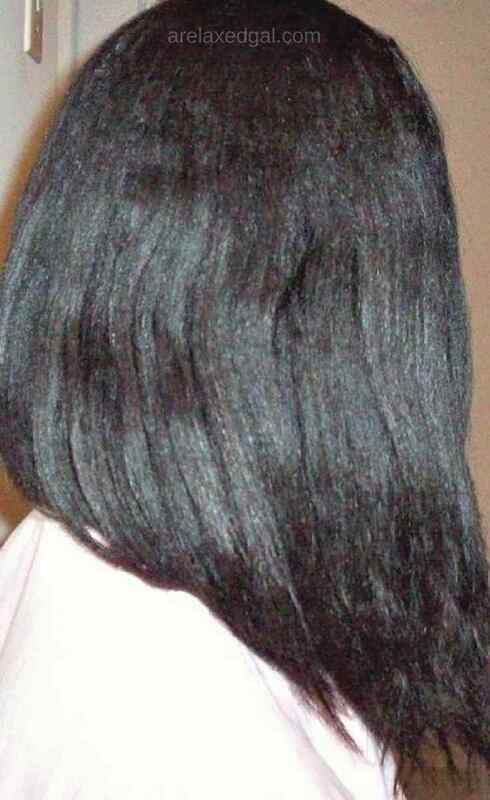 So thick that I hated to wash it or get it wet because it would take forever to dry - even with a relaxer. Once I hit my teenage years I cut my relaxed bra strap length (BSL) hair to chin length and have been cutting it ever since bouncing between shoulder length and chin length. Fast forward several years and I started to notice breakage and thin ends which I attribute to using a lot of heat, not moisturizing, no protective styling and not using products that benefit my hair. So I decided to take matters into my own hands and began searching online for help and tips on how to get my relaxed hair healthy again. Have you set any hair goals for this year? When you use leave-in conditioner daily. how much do you use? Does your hair get really wet like it's from a wash? and what do you think of LCO method for relaxed hair? I don't use a lot leave-in conditioner when moisturizing my hair. 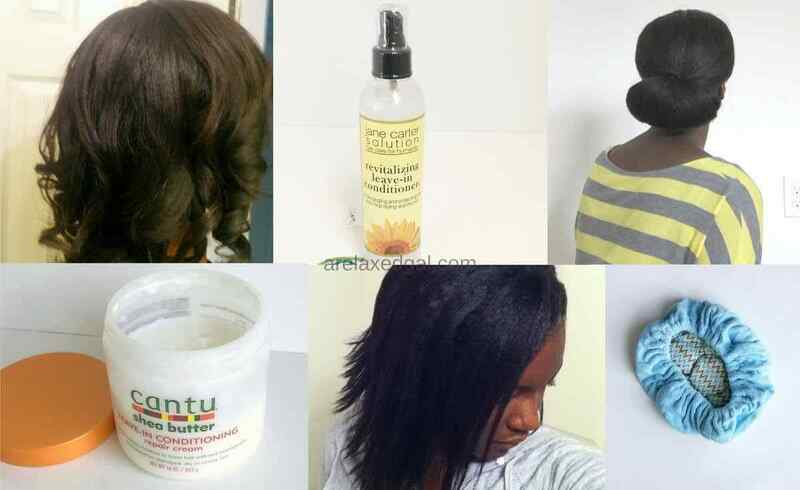 How much you use will depend on the type of conditioner and how thick and long your hair is. If your hair starts to feel wet like you just washed it, you've used too much. I don't pay attention to the methods, I just do what works best for my hair. I used to just leave my hair to air dry after washing(stopped using heat some time ago,only when going out)i had my hair relaxed this month,my stylist cut an inch off my hair ,my hair is now below the collar i still have a long way to go in looking after my hair,my hair always grows fast so after looking at tips online,i have started to look after my hair by looking at tips like yours .Thank you.